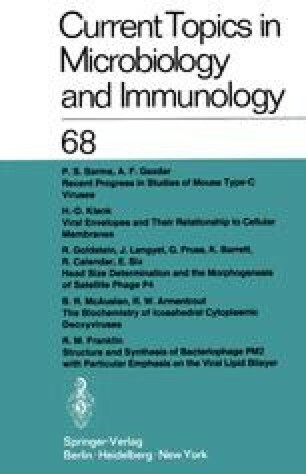 For many years the only deoxyviruses that were known to replicate in the cell cytoplasm were poxviruses. They were considered by some virologists as something of a curiosity, not only because all other known deoxyviruses, such as herpesvirus, adenovirus, and papovavirus, replicated in the nucleus, but also because of their comparatively large size. Were they not the etiological agents of unpleasant diseases such as smallpox in man, poxviruses would probably be the last viruses one would elect to study because of their very large genome size, structural complexity, and the intricate phases of early gene transcription. Nevertheless, detailed study of this complex virus has opened a large area of transcriptional and translational control systems that have been found subsequently to occur in other viruses and in uninfected eukaryotic cells.